Perfect liberty and justice, however, did not exist in the actual markets known to Smith, making expectations of perfect factor mobility idealistic, not realistic; they remained his theoretical constructs. 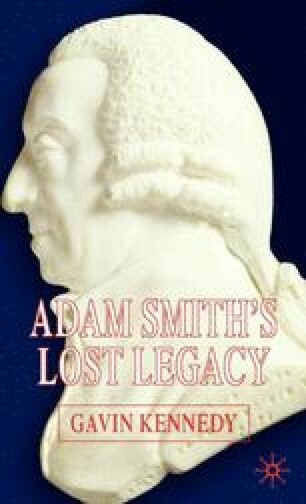 Smith’s narrative is a benchmark for, not a description of, the real world. Smith elaborates on variations between perfect and real world markets, and I shall untangle the narrative in what follows as a prelude to commenting on the laissez faire problem in economics — that there are two distinct interpretations of what it means as a policy prescription, neither of which accords with Smith’s views. Together they explain why he did not refer to laissez faire, nor subscribe, implicitly or otherwise, to prescriptions associated with it.